The newest addition to the extensive list of casino operators powered by the award-winning Microgaming software goes by the name Lucky247 Casino and strives to offer its customers second to none gaming experience 24/7 in a regulated, safe and fair environment. Lucky247 is operated by To Play Center group, licensed by the Lotteries and Gaming Authority of Malta and its offer, asides from the classic online casino, includes a mobile casino as well. Lucky247 Casino provides its users with a wide range of reputable and convenient payment methods, including major credit and debit cards, bank transfers and the most popular e-wallets such as Moneybookers and NETeller. The casino uses the latest security measures to ensure privacy and maximum safety for all online monetary transactions. Aside from cutting edge games, safe and secure banking and rewarding promotional offers, Lucky247 Casino aims to offer its users second to none customer service. The detailed FAQ pages provide answers to the most common queries and issues, and friendly support agents are ready to assist 24/7 via e-mail, live chat, phone and Skype call. Lucky247 Casino operates on the cutting edge software provided by Microgaming, one of the world’s leaders in online gaming development, but, unlike most of the other Microgaming-powered online casinos, offers only flash-based browser version to its users. It’s still Microgaming, though, so there are more than plenty top of the range games for all Lucky247 users to choose from. The players are provided with more than 250 games, including a wide range of slot and fruit machines, scratch card and instant win games, parlor games such as keno and bingo, table games such as baccarat, sic bo and craps, blackjack, roulette and video poker, casual games and, of course, Microgaming’s trademark – the famous progressive jackpot games such as Mega Moolah, Treasure Nile or King Cashalot. 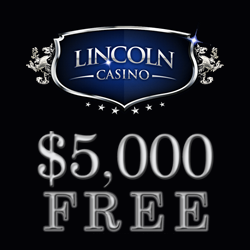 Most of the games on offer (excluding the progressives) can be tested out in free play mode, which requires the quickest and easiest registration possible, and Lucky247 Casino offers free money bonus to all players who want to experience playing for real. Of course, real play requires account funding, and the casino has prepared a wide range of rewarding sign up bonuses and promotional offers for its paying customers. The most loyal users are eligible to receive special benefits via the exclusive Lucky247 Loyalty Club. Lucky247 was created as a mobile centric casino, and is proud to show it right from the start. 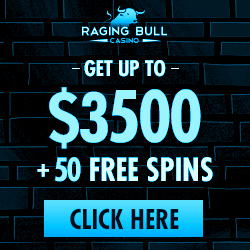 There are more than 30 Microgaming/Spin3 powered games to choose from, including blackjack, roulette, baccarat, video poker, bingo, keno, scratch cards, a wide range of slot machines and the most popular progressive jackpot games such as the famous Mega Moolah. The games are available across platforms, so whether a player is using iPhone, iPad, Blackberry, Android or Symbian device, there is a game for it. There are two ways to start playing at Lucky247 Mobile Casino – the players can request the download link for their chosen game via SMS, or alternatively access the game via the mobile casino page. In order to start playing, every user needs to register. 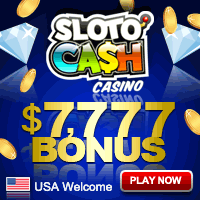 Most games can be tested out in free play mode, but the casino entices the customers to start playing for real by providing them with free money bonus, as well as lucrative sign up bonuses and promotional offers, and the exclusive five tiered Lucky247 Loyalty Club rewards the most loyal users with special benefits.